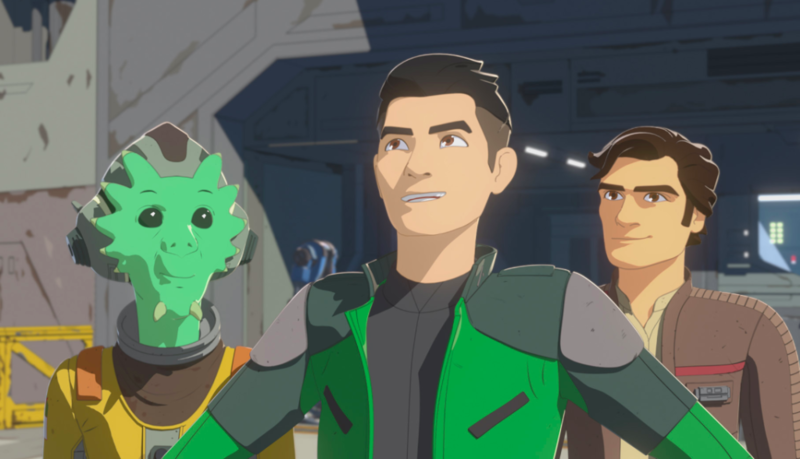 Last night marked the long-awaited series premiere of Disney Channel’s new animated series Star Wars Resistance and it puts Star Wars fans right back into the universe they know and love. 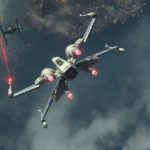 The new series is set between the events of Star Wars: Return of the Jedi and Star Wars: The Force Awakens, and follows young pilot Kazuda Xiono during the rise of the First Order and the Resistance. 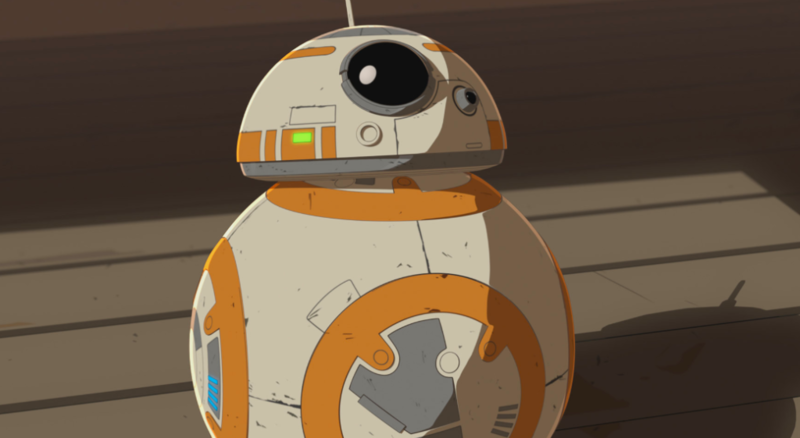 It features fan favorite characters like Poe Dameron, Leia Organa and of course the lovable droid BB-8. 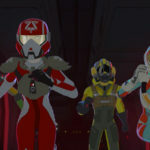 The pilot episode, pun intended, is titled “The Recruit” and introduces us to Kazuda (commonly referred to as Kaz) as well as a host of other characters. It doesn’t take long to get to the action, opening with a classic Star Wars space battle between a pack of X-wings and a TIE Fighter. That scene sets the tone for the whole episode, which delivers all of the classic Star Wars moments we’ve come to expect, including the introduction of a lovable band of misfits, some bizarre creatures and even a last-minute save by Poe Dameron. 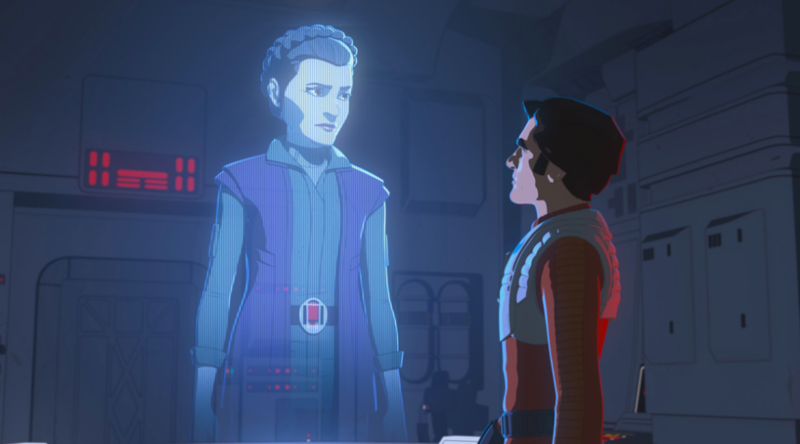 Speaking of Poe, one of the highlights of the new series is the return of Star Wars actors to voice their characters. Poe is voice by Oscar Isaac in Star Wars Resistance and Anthony Daniels’ voice can be heard briefly as the iconic C-3PO. Gwendoline Christie will also lend her voice to the series as her fan-favorite character Captain Phasma. “The Recruit” follows Kaz as he is brought into the Resistance as a spy, on a mission to find a spy for the First Order. The mission brings him to the Colossus, a massive refueling platform on the Outer Rim ocean planet Castellon, where we meet several new characters. Neeku – A kindhearted member of the Colossus community who unfortunately takes everything he hears quite literally. Yeager – The reluctant new mentor of Kaz, and owner of a repair shop on the Colossus. He has a long history with Poe Dameron. Tam – One of Yeager’s mechanics, Tam is outspoken and has big dreams of one day becoming a pilot and a racer. One of the strongest aspects of the new series, as is usually the case with any Star Wars production in my opinion, is the music. 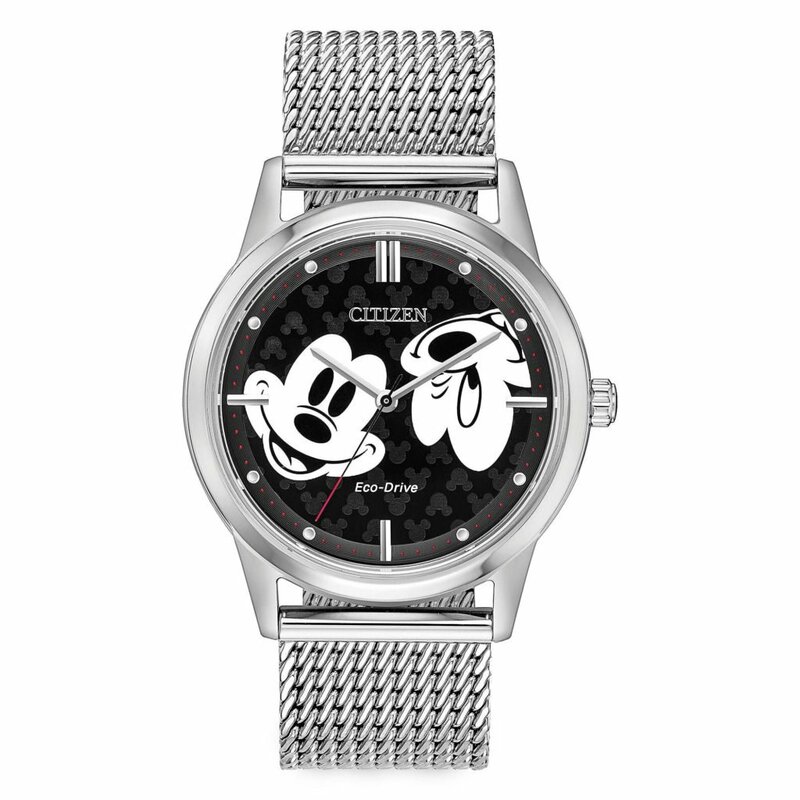 While it is unique, it hints at the classic tunes we know and love and creates just enough of an attachment to the films to draw Star Wars fans in. The animation in Star Wars Resistance is beautiful and creates a natural 3D effect. If I can nitpick on one thing however, the facial expressions don’t always seem to match the emotion the character is trying to convey. This is particularly apparent on Poe. 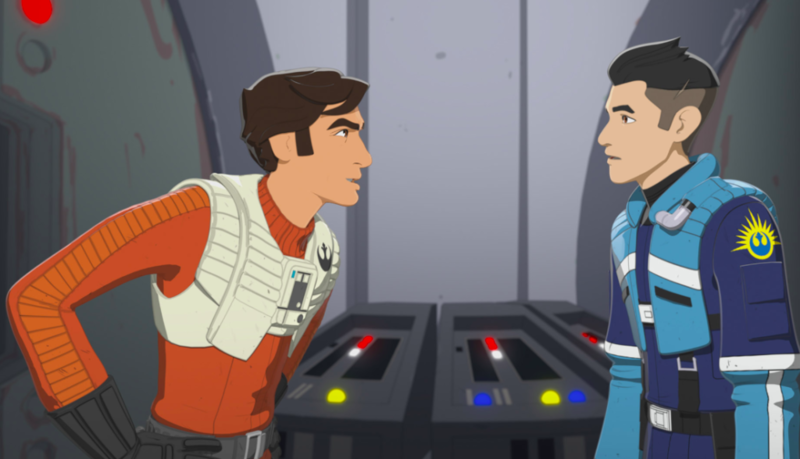 Overall, Star Wars Resistance is a strong new addition to the franchise. 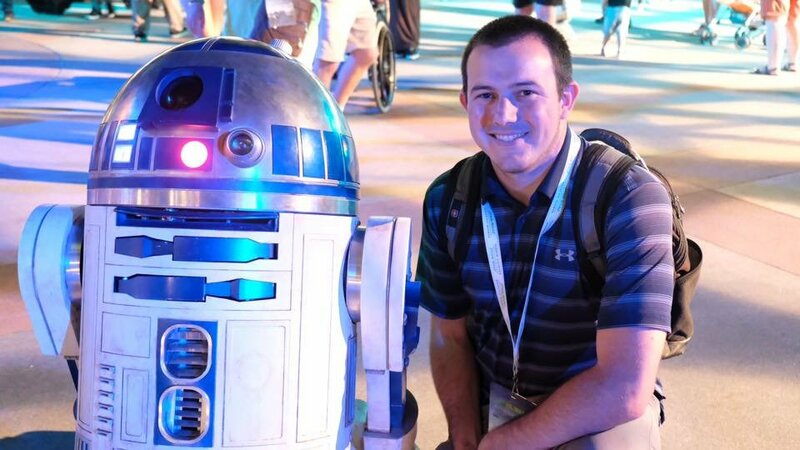 I will say, if you’re not a big Star Wars fan, it’s probably not for you. If you don’t get excited by small connections and tiny bits of information we didn’t previously know about the existing universe, there probably won’t be enough to keep you excited. 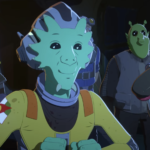 If you are a big fan, or you’re just looking for a new animated series to entertain your kids, Star Wars Resistance is certainly something you’ll enjoy. 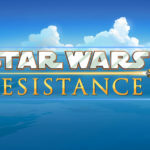 Star Wars Resistance airs Sunday nights on Disney Channel.